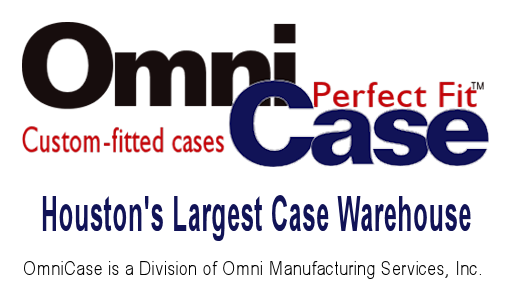 Emergency response professionals look to Omni Manufacturing Services to design Perfect-Fit ™ cases that satisfy precise and extraordinary needs. Omni's designers understand that first responders, as well as search and rescue personnel frequently transport delicate life-saving equipment over rough terrain and through unfavorable conditions. 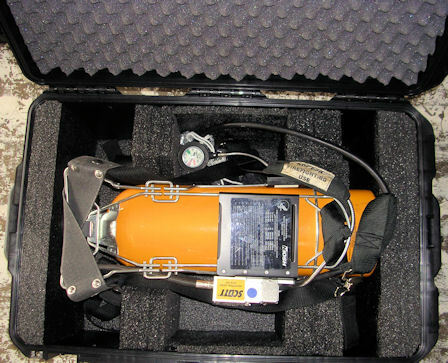 Subsequently, foam case interiors are designed and crafted to protect mission-critical equipment in harsh environments, severe weather, rough handling, etc. Omni's custom-made protective foam inserts greatly reduce or eliminate movement and damage of sensitive equipment when being transported. 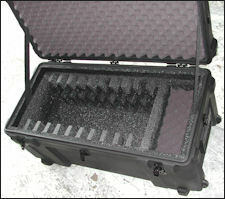 Omni stocks case models that are moisture and dust resistant to further protect case contents. 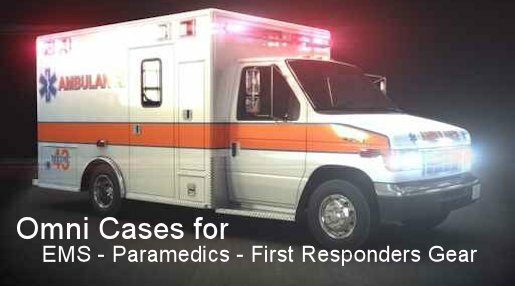 These cases are "must haves" for professionals and organizations who provide core, civil, medical and other emergency services over land, in the air, and in the water. Bring your problems to Omni and get solutions. The photographs to the left and right show a custom case designed and crafted by Omni technicians. The foam cradle securely holds the equipment in place during transport over the most unfriendly terrains and resists shock under rough handing or accidental jarring. All compartments machined into the foam layers precisely fit the items to be protected. 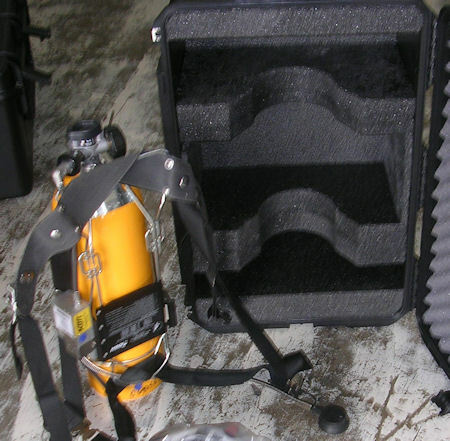 The effectiveness of protecting your instruments and equipment is significant. When you require protective containment that simply does not exist on the open market, call Omni to develop as solution for you. A large selection of cases are in stock in an array of sizes and configurations. You choose the size case that works best for your items, and Omni custom fits the foam inserts. It's that easy! Click the photos for larger views. Click the photos for larger views. 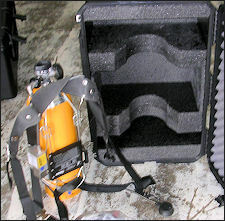 The photograph on the left shows an example of a rolling rack style case. These racks accept standard rack mount equipment. Therefore your rack components easily bolt in. Once the components are installed the lids are snapped into place your equipment have maximum protection. The case pictured on the right is another example of Omni's custom manufactured inserts. 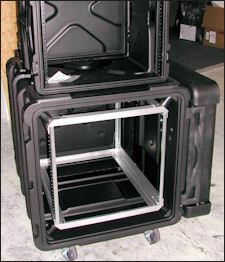 This case securely holds 10 laptop computers and accessories such as power supplies and miscellaneous support items and cables. Possibilities are unlimited at OmniCase. When you are not finding what you want in "out of the box" cases, call Omni to get exactly what you need.